You are cordially welcome to be a part of our family! Yoga Vidya Mandiram offers some of the best yoga teacher training courses. 200/300/500 hour Hatha & Vinyasa flow Yoga Teacher Training Courses. International Yoga Teacher Training School In Rishikesh, India. We welcome you to join our yoga school Yoga Vidya Mandiram centered in the magical Himalayan Valley of Rishikesh, India. Our mission is to spread peace, health and joy, which can be achieved through yoga. All walks of life are welcome to learn how yoga leads an individual to a healthy body and lifestyle, and also how yogic philosophy can help in maintaining a peaceful mind and a serene spirit. 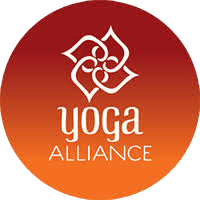 We offer variety of yoga courses including Yoga Alliance USA registered Yoga Teacher Training Courses (Yoga TTC) for the Beginner, Intermediate, and Advance levels of students. 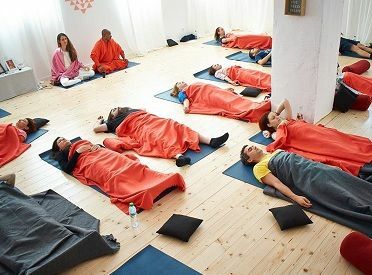 200-hour Yoga TTC, 300-hour Yoga TTC, and 500-hour Yoga TTC and other Yoga Courses and Yoga Retreats including Hatha-Yoga TTC, Ashtanga-Yoga TTC, Vinyasa-Yoga TTC, Meditation Yoga Teacher Training and Yoga Retreats in Rishikesh, India. Visit us to know the diversity of Yoga and gradually walk the path towards its deeper aspects. From relaxing your body to restoring your mental health and a calm mind, yoga has a lot to offer to everyone. Contact us and get started today towards a healthier future. 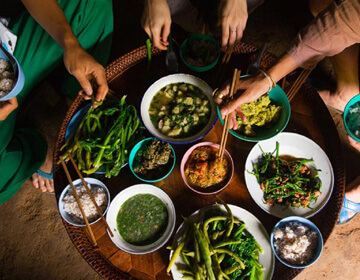 Yoga Teacher Trainings and Retreats including 200-hour, 300-hour and 500-hour residential Hatha & Vinyasa Yoga TTC are affiliated with Yoga Alliance, USA. Yoga TTC, Yoga Retreats & Courses at Yoga Vidya Mandiram are held by experienced reputed meditation guides and certified Yoga Trainers at Yoga Alliance. Ours School is located in the magical Himalayan Valley at the bank of river Ganga. Yoga School is a peaceful and inner awakening space for the Yoga students. All our Yoga Teacher Trainings and Yoga Course & Retreats at Yoga Vidya Mandiram aim to provide a solid foundation in different aspects of yogic disciplines. 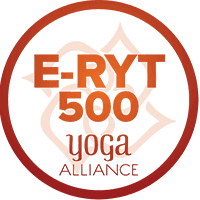 Our school is a registered 200 RYS, 300 RYS and 500 RYS at Yoga Alliance USA. We offer certified Yoga Teacher Training Courses (Yoga TTC) for different levels of students Beginner-Intermediate-Advance. The most popular 200-hour Yoga Teacher Training Course, 300-hour Yoga Teacher Training Course, and 500-hour Yoga Teacher Training Course are held under the guidance of yoga alliance certified 200 E-RYT and 500 E-RYT yoga experts and trainees. 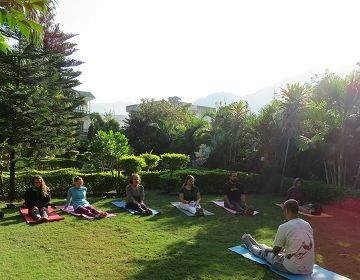 The school also offers other certified Yoga TTC, Yoga Courses and Yoga Retreats including Hatha-Yoga TTC, Ashtanga-Yoga TTC, Vinyasa-Yoga TTC, Meditation Yoga Teacher Training and Yoga Retreats in Rishikesh. We welcome you to join our best Yoga Teacher Training Courses in Rishikesh, India, affiliated with Yoga Alliances USA. These Yoga TTCs present an easy and systematic approach of learning yoga including yogic knowledge and their practices. Our school Yoga Vidya Mandiram holds world renounced 200-hour, 300-hour and 500-hour Hatha & Vinyasa Yoga focused Yoga Teacher Training Courses in Rishikesh, India. 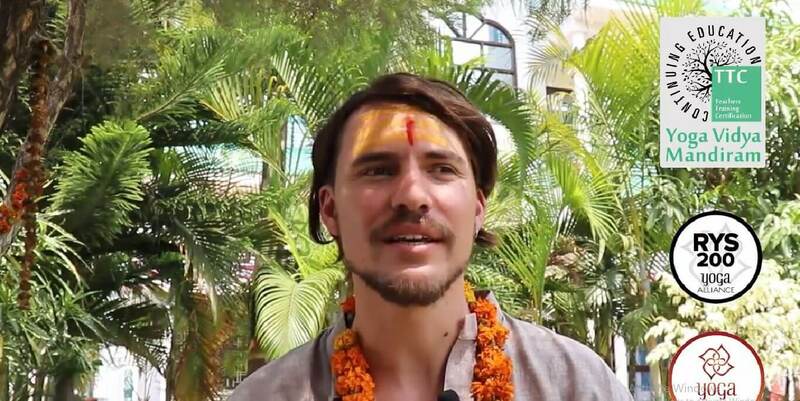 We welcome you to join our best Yoga Retreats and Yoga Courses in Rishikesh, India which are held under the direct supervision of well-qualified and veteran yoga guides and masters. These Yoga Retreats present an easy and systematic approach of learning yoga including yogic knowledge and their practices. Yoga Vidya Mandiram offers certified courses including 50-hour Yoga TTC, and 7 Days Yoga Meditation Retreat. 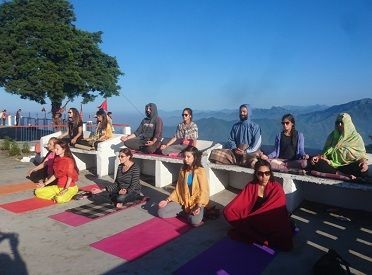 Yoga Vidya Mandiram organizes for the students several Himalayan mountains visits including Vasistha Cave, Kunjapuri Temple, Neelkantha Mahadeva Temple and other spiritual places including divine Ganges and holy city Rishikesh. These pictures convey an experience of the students when they are there. Have a look at some amazing snapshots…. Everything faded away! Only memories last forever. Pictures that depict the beauty of our yoga courses and yoga programs. Swami Omkarananda, grew up around the great lady saint of India, Ma Anandamayi He studied and lived with six enlightened Masters Swami Dayananda Saraswati, Swami Veda Bharati, Swami Chidananda Saraswati, Dalai Lama, Lung Chu, and the Master of Masters Kalyan Babaji of Himalayas. Dr. Sumit is expert in the field of Physical Therapy and posture imbalance and sedentary life disorders. He did his Masters of Physical Therapy in Musculoskeletal Disorders in Orthopedic Branch and diploma in Sports Medicine from West Bengal. 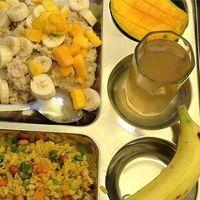 Yogacharya Sandeep Pandey was born in a traditional Brahmana Family and was sent to Gurukul at the age of 8. At the Gurukul, he studied the Yajurveda and mastered all the 16 Samskaras along with Yogasana, Pranayama, Shat Kriyas etc. Ravinder Singh Padiyar is a highly qualified and experienced instructor of Astanga-Vinyasa. 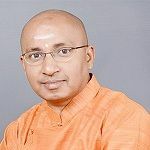 He is regarded as one of the very inspiring Vinyasa teachers in Rishikesh He holds his academic education from different prestigious yoga institutes and Universities in India including his Astanga Vinyasa education. It is advised that the applicants who have applied for the yoga course and now ready to make payments that they should consider their availability and facilities required for the yoga course. The course fees deposited for a course is non-refundable, however in an emergency and other inevitable situation our school Yoga Vidya Mandiram located in Rishikesh, India at its discretion permits the students to go for any yoga course scheduled in next six months only. Therefore all the applicants of yoga are advised that they should carefully examine their upcoming priorities, obligations etc. so that they can dedicate their time, full attention to the yoga training courses. Watch Us in Action! Some videos that will tell about the awesomeness of yoga and yoga courses provided Yoga Vidya Mandiram. Have a look to know more! Videos give us an idea about the yoga courses we conduct and will inspire you more & more to join our courses. There is a lot to share. They were very welcoming and made us feel at home from day one. The overall feeling was respectful and relaxed. organiser was very flexible and was willing to help in any situation. We were able to discuss as a group to decide on a daily planner, we had this arranged to our needs. I was sick a few days , and management were there to help on request. After feeling weak I missed some days of yoga practice. My teacher allowed me to sit in and write notes. This helped a lot. I was able to ask questions and comment on things I would have missed. Arriving in India, Onit was extremely helpful and arranged transportation from Delhi airport to Rishkesh and he kept on calling the driver to ensure I was okay. I was greeted by him and my Guru Sudhir Agasti upon arrival. The course was excellent, the instructors were extremely professional and with great knowledge. I felt in love with yoga philosophy and will keep on studying more and more. OMG! What an amazing journey. I always planed for external spaces for mind peace until I came to this mesmerizing yoga center and the center teachers; all wonderful people. I couldn’t believe that there could be so much interesting learning of life. The one month intensive yoga teacher training is just a perfect beginning to the people wishing to acquire base knowledge of yoga and life-style. I participated in the yoga course with Acharya Sudhirji. His way of offering his yoga experience was very friendly and effective. I had been practicing yoga asanas for last 7 years, but his guidance in establishing a posture was truly useful. I have incorporated the effective sitting posture in my meditation, and now I can sit with more ease and for longer duration. Heartfelt gratitude to Sudhirji. With thanks and pranamas! Wonderful experience! Great teachers exciting lectures and a lot of love. Highly recommendable! Yoga Vidya Mandiram- is a Yoga School of Great Leadership Training Discipline Experience Expertise – the courses offered are diverse and accommodate your needs. It is an excellent school for 500hrs. I have enjoyed and lived every moment. I strongly recommend this school and course.